DENVER -- A plane shrouded in mystery captured the attention of thousands on Wednesday. Nobody knew why a high-altitude plane circled the City of Denver for hours. Now the Navy has some answers. Denver-based KMGH tracked IRON99 as it traveled from the West Coast to Oklahoma, where it eventually landed at Tinker Air Force Base, however it spent roughly an hour in Denver, circling in a racetrack-style holding pattern over the city. 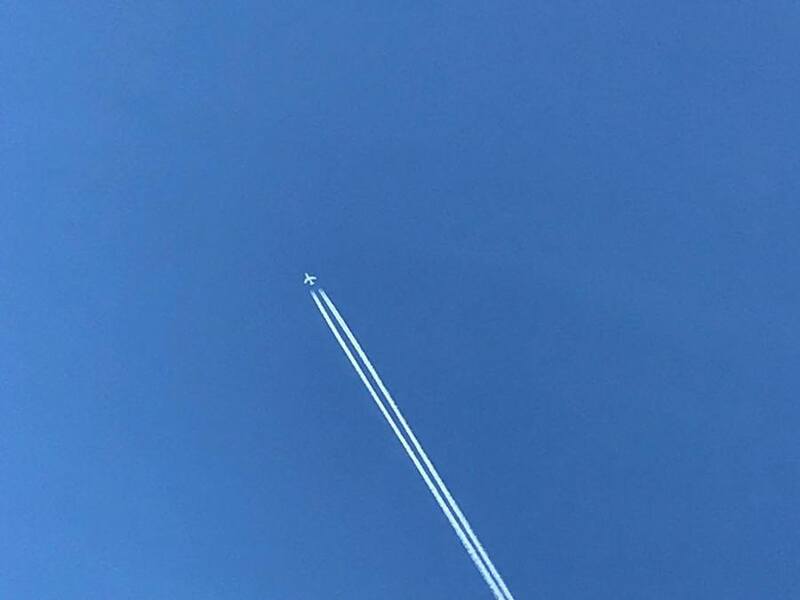 A clear day allowed thousands to see the flight path and contrails created by the large swept wing, four-engine plane. KMGH branded it a mystery in a previous report because officials from the Federal Aviation Administration (FAA), U.S. Northern Command (NORTHCOM), U.S. Strategic Command (STRATCOM), North American Aerospace Defense Command (NORAD) and a dozen Air Force Bases could not confirm what the flight may have been. A day later -- after the plane landed -- Navy officials responded to comment on the flight, confirming it did hang over Denver for roughly an hour in a holding pattern. Lt. Leslie Hubbell, who is the assistant public affairs officer for Commander Naval Air Forces, confirmed IRON99's identity is a Navy E-6B Mercury, created by Boeing at a cost of $141.7 million per unit. The unit's overall mission is classified, Hubbell said, but did confirm the mission of the plane's class. "The overall mission of the E-6B is command, control and communications abilities to direct and employ strategic resources," Hubbell said. In laymen's terms, the planes are able to launch nuclear missiles and communicate with diverse assets, including nuclear submarines. 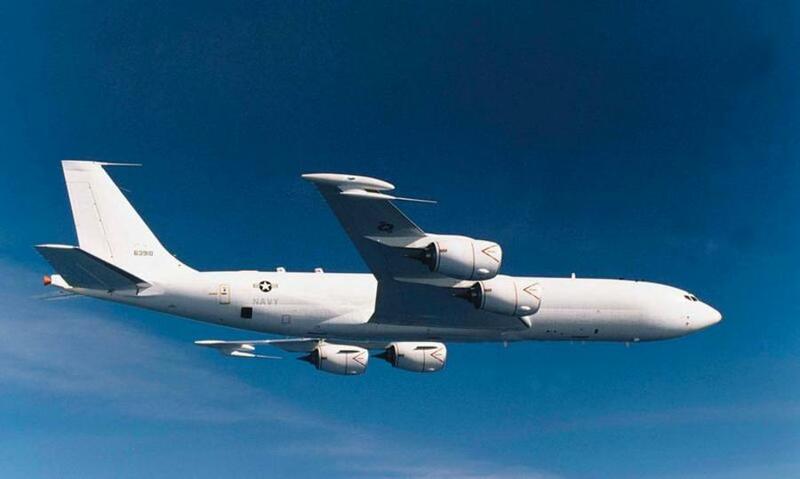 According to the Navy's website, the E-6B is a high-tech and large plane, each of which is equipped with an airborne launch control system that can reliably launch intercontinental ballistic missiles (ICBMs). As to what the incredible weapon was doing above the Denver skyline -- Hubbell said it was halted by the FAA when traveling from its forwarding base in California back to Tinker Air Force Base, where the planes are serviced and housed. The plane's forwarding location is Travis Air Force Base in Northern California, which declined to admit the plane departed from the base earlier Wednesday morning when asked by KMGH. Travis Air Force Base officials weren't alone, the FAA said it had no contact with the plane Wednesday despite Hubbell's statement that the FAA told the plane to hold over Denver. Although the Navy said the plane simply was flying from its forwarding base back to home base, a high-ranking federal official who wasn't authorized to speak on the matter said the plane was involved in a classified training mission organized by the Department of Defense. The training mission reportedly centered around electronic surveillance and involved several agencies which aren't likely to comment on the mission, the source said. The source said the mission wasn't out of the ordinary despite its size, noting the public isn't usually aware of such training missions. It's not known if the mission had anything to do with a Denver-area mission to evaluate drone detection near the Denver International Airport. The FAA announced it would conduct work with the help of the Department of Defense, the Department of Homeland Security and more to help learn what technologies can aid in safely detecting drone activity near airports. Members of the public got a rare glimpse of a powerful military tool, potentially on a training mission thanks to the clear skies over Denver, but it is no longer a mystery. The Boeing model is part of the Navy's TACAMO mission, which stands for Take Charge And Move Out. The Navy basically uses the plane as a mobile command center that will be functional and reliable in times of crisis. Sixteen units were created for the Navy, and they operate out of Oklahoma, frequently using the flight call letters of IRON99. The planes from the ground up look a lot like Boeing 707 units because the plane is modeled off the old Boeing product. Painted bright white to look nondescript, the planes have more than six hours of loiter time in the air and have a range of just over 7,500 miles. The planes can fly above 40,000 feet, however the E-6B flew at roughly 35,000 feet on Wednesday. This class of plane has been fully in service since 2003.